I was recently invited to Oxford University’s Internet Institute to speak to masters, MBA and MPA students about my book Dream Big. Hustle Hard., sharing advice on how to succeed in tech’s competitive landscape in spite of the well publicised obstacles around inclusion. Unlike the students in the room — a diverse group of men and women spanning many ages, ethnicities and disciplines — when I graduated from university the invisible barriers that hinder career progression were not known to me. Nor were they being discussed in public forums like newspapers or social media, let alone a lecture theatre. As I entered the working world full time in 2009, gender pay gap reporting was not a legal requirement in the UK, the Black Lives Matter movement hadn’t risen in the US and the term intersectional feminism did not feature in pop culture vocabulary. Yet while its certainly easier to tackle an obstacle once you can name it, building a fulfilling career remains a challenge to us all. Particularly for millennials who studies show are the hardest employees to retain since records began. In my view that’s because the way universities teach us about careers is all wrong. They fail to equip us — particularly women and other underrepresented people — with the tools necessary to make sensible holistic decisions and build sustainable careers. That’s why I wrote my book and started Hustle Crew and nontechtech but that’s a story for another article. Here I share the six things about work I wish I knew when I graduated. I hope that they will help you get closer to where you want to be work-wise. Throughout school we are taught to find the right answer to the question.Sometimes there’s more than one answer, sometimes there’s no single right answer but either way we are trained to be solution focused in how we approach questions. But what happens when you apply this approach to the very complex question “What job should I do?” Suddenly things get complicated. Our lives are long and our careers are varied. Even moreso for millennials and Gen-Z who live multi-hyphen lives flexing their skills across multiple roles. This means its important to not obsess over the correct answer but instead focus on the correct framework to guide us to our solution. Its easy to make emotional or reactive decisions when it comes to jobs but its better if we can rely on frameworks to guide our thinking so we can make the best next step according to our motivations and priorities. It’s better to optimise for our priorities than obsess over one specific path. We often hear successful entrepreneurs and champions across fields from sports to science advising people to do what they love and pursue their passions in order to be successful. While that may work for the privileged few who end up being a global sensation in the field they love, its not advice I would give to ordinary folks like you and me. There is an opportunity cost at the beginning of your career when you pursue passion over creating value in a company and building your corporate career capital. This means that at the beginning of your career its far more valuable to focus on what you’re good at. At the beginning of my career I was already very good at sales. I’d worked as a street fundraiser the summer before starting university and always smashed my targets. During university I had a part-time job at the Reiss concession in Selfridges and earned hundreds of pounds in commission every week. When I had my first interview in tech at a startup called Groupon I was asked by my soon-to-be boss what I was good at, I said sales. I had concrete examples to share that showed I was good at it and that’s what got me hired. Do I love sales? Sure, but not as much as I love writing and public speaking. But at the start of my career there were few entry-level roles on offer that maximised those skills. Capitalism rarely lets us optimise for our own fulfilment, especially at the start of our careers. There are too many variables beyond our control to be able to plan with certainty too far into the future. It’s far more sensible — and better for our mental health — if we make career choices for the not too distant future, accepting that we are likely to change. Are the priorities you have now the same ones you had a year ago? Two years ago? Five years ago? If the best indicator of the future is the past, it stands to reason that in a few years’ time your priorities will change again. So accept the inevitability of change and make decisions accordingly. Be content with a plan that makes sense for now and be willing to adapt when the time comes. Acknowledge the plan could backfire but not through any fault of your own. Be kind to yourself. Reading Dr Carol S Dweck’s book ‘Mindset’ literally changed my life. In it she describes the results of studying hundreds of successful people from across a range of fields like business, education and sports. She identifies one uniting trait that separates these exceptional people from everyone else. These superstars see output as directly linked to efforts. In other words, they believe that to be better at something they must simply work harder. And they make effort to understand their strengths and weaknesses. That’s what it means to have a growth mindset. Their counterparts with a fixed mindset believe abilities are pre-ordained and see failures as the point at which you quit. To adopt a growth mindset is to turn failures into lessons and to acknowledge your skills and development areas, as opposed to being in denial of them and blaming setbacks on everything but yourself. The common saying is that “your network is your net worth”. I only started to realise this when I became a full-time entrepreneur bootstrapping my first venture, Hustle Crew. I relied on my network to secure my first customers when I launched as a B2C careers coaching company and again later when I pivoted to a B2B training company. It’s my network that helped me land speaking gigs to gain more exposure and my network that helped me turn my book from an idea into something that’s sold hundreds of copies. I used to find the idea of networking cringe and repulsive. I realise now that’s because I hadn’t taken the opportunity to be self-reflective and think of what my true interests and motivations are. I was networking in all the wrong places. Now that I know I’m passionate about tech entrepreneurship, inclusion in the workplace, community building and content creation — it’s easy for me to find events that align with that and enjoy networking while I’m there. I always meet like-minded people in these communities many of whom I’m fortunate to now call friends. This is particularly important for women because living in a patriarchy we are often made to feel like second-class citizens. It starts when we’re young. Good boys are described as brave while good girls are described as pretty. We have so much to give the world than just our looks. Its super important to be your biggest fan and acknowledge the value you bring to the table. Appreciating yourself is the source of so many great things that help you excel in your career. It gives you confidence, meaning you can negotiate for what you’re worth. Self love also helps you avoid toxic relationships and gives you clarity around your motivations and desires. It also makes you a pleasure to be around. Positive people get more done than negative people. As a result truly ambitious people tend to be positive and are drawn to other positive ambitious people. Together they build great things — this could and should be you. If you find it difficult to grow your self esteem ensure you are actively taking steps to change that. Join communities, find the right one that allows you to be yourself and be celebrated. Invest in a careers coach, or join a debating or public speaking club. Start seeing mentors regularly to help you level up. Whatever it is, ensure you are really doing something about it, not just mulling it over. Mentors are available to help for free from communities like Hustle Crew and NonTechTech — the list goes on. I love that quote because it reminds me to be kind to myself when I make mistakes. Often times as a founder you can waste a lot of time beating yourself up for not catching this or that mistake. I now know starting anything is really just a series of mistakes. You just have to make sure you’re learning from your mistakes which is what that quote always reminds me to do. Ola Orekrunin, the Founder of Flying Doctors Nigeria, an air ambulance service which she founded before she was 30! It’s such an ambitious and high risk project; she’s literally dealing with life and death situations every day and handling it like a boss! So every time I face a challenge for example if I feel nervous before a talk, I always think of Ola and remind myself that no one is going to die if mess up my talk. Definitely my latest project Founding Women. It’s a book sharing the stories leading female tech founders from across Africa and the diaspora. I once googled the words “tech entrepreneur” and was appalled that the results were pages and pages of mostly white male faces. I think tech is a really powerful problem-solving tool especially in Africa where we have no shortage of problems to solve! So with this book, I really wanted to try and change the face of tech. My dream is for millions of young African women to see themselves in the stories of these amazing women and believe that they too can be future tech leaders. We’re currently running a crowdfund to raise money to produce the initial copies of the book as well as raised funds for our mentorship programme for young African women. You can support and get involved here! Bayo Adelaja is a culture and society scholar, who is passionate about the development of African communities. In her academic career, she recognised the pitfalls of donor aid and in response founded Do it Now Now on the premise of increasing trade opportunities for businesses in Africa. She has successfully brokered deals with a number of organisations the are similarly interested in the development of African startups. About DiNN x SFA - Africa needs entrepreneurship that works. We need entrepreneurs that will positively impact the development of Africa. Do it Now Now is a powerhouse in the Africa/diaspora startup space. Having amassed a network of over 900 Africa-focused startup founders through their "Startups for Africa" initiative, DiNN is well placed to create opportunities for founders to learn, collaborate and grow together. The network connects seamlessly with the main offering of Do it Now Now which is its Africa and diaspora focused, donations based fundraising platform. By translating the crowdfunding model into the Africa space, in a way that moulds with the existing culture, Do it Now Now is helping create startups in Africa that will contribute to the long-term development of the continent. It is a Bible verse – Hebrews 12:1. When I need an extra push, I think of all the people that I never met, but opened doors for me to be the person I am today. I don’t want to let them down, and I don’t want to let myself down. The verse reminds me that there is something in this world that is determined for me to accomplish and I have to keep going until I get there, wherever there is. I am typically inspired by game-changers. I am inspired people who have achieved things that are so iconic and impactful that they change the face of the world as we know it. Martin Luther King’s I Have a Dream speech is one of the moments that inspire me. Not because of the words, though they are incredible, but because of the impact those words have had. His words encouraged ordinary people to reach for what was, at the time, an impossible dream. I often say that my passion is helping other people put their passion into action. He did that with his life and a snapshot of his impact is captured in that speech. Oh no. There are many books that are very important to me. Extremely Loud & Incredibly Close by Jonathan Safran Foer. It's definitely one of my favourite novels. Either that or Howard’s End by E.M Foster. I also love Passage to India by Foster, Woolf’s To the Lighthouse and Anil’s Ghost by Michael Ondaatje. Oh and Shakespeare’s Coriolanus. I’m sorry I can’t pick one. I am currently reading “On the Suffering of the World” a collection of essays by Arthur Schopenhauer. I am really enjoying unpacking the essays. Figuring out what I agree and disagree with and then wondering why agree and disagree. For me, reading isn’t as much a form of entertainment as it is an opportunity for self-discovery. I am probably most impressed by my resilience. Running a business is difficult for anyone, by any standard. I like that my default mode is to keep going in the face of trials. That doesn’t mean I don’t get knocked back or stumble, it just means I have this resolve in me that I will finish the race that is set out before me. That attitude is definitely the thing I like most about myself. Caroline is a future trainee solicitor at a corporate law firm, aspiring coder and blogger. 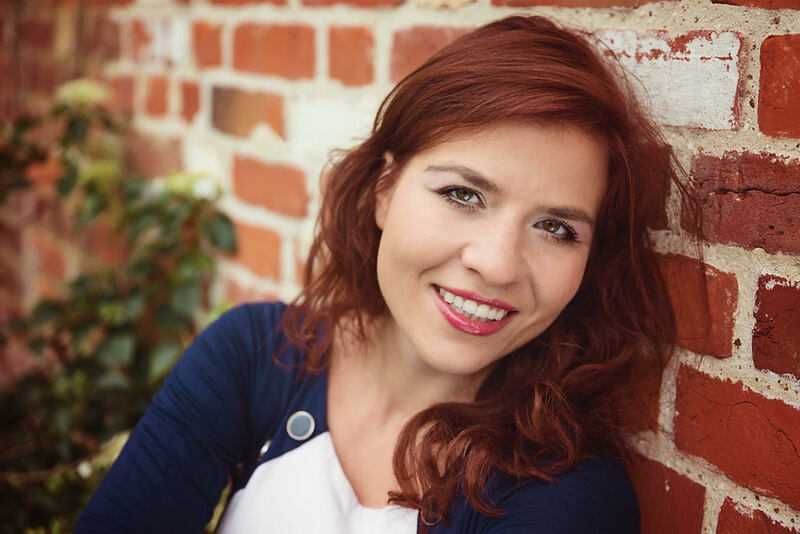 She writes weekly on her website “www.talesofcaro.com” about the importance of discovering life outside of your comfort zone, creating opportunities and embracing fear. In addition, she is passionate about women’s empowerment, technology and entrepreneurship. Caroline was the organiser of the first women in entrepreneurship conference at her University and she has previously undertaken an internship at Bloomberg LP. She holds a bachelor’s degree in Politics and International Studies from the University of Warwick, and she is currently studying the Legal Practice Course, having previously completely the Graduate Diploma in Law. In addition, she has taken coding courses at The Guardian and Twitter (UK), courtesy of Code First: Girls. I use codecademy and Treehouse to supplement my coding classes. They are both great online tools that provide tutorials on how to code in different languages. I would highly recommend anyone who is interested in learning to code, to start off with these websites as they are very easy to use. codecademy is free, but it also has a premium version. Treehouse has a free trial and a monthly subscription fee, but the video tutorials are great, so it is definitely worth it. I also use Canva, a website that provides great tools for creating social media graphics. I have been using it to create graphics for my blog and the best thing about it is that it is completely free! What have you started before you were ready? I started learning how to code before I felt like I was really ready to take on the challenge and it was probably the best decision that I ever made. At first, I thought that before I venture into a completely different field from the one that I was on, I had to have a grand life plan. I also thought that you had to be a maths wizard to be good at coding, but both of those myths were quickly dispelled once I was accepted unto the Code First: Girls Course. An opportunity that I could not give up. I learnt that you can only figure out whether something is for you by actually trying it out, not by over analysing it beforehand. I have also learnt that you can never truly be ready and the goal should always be progress, not perfection and that’s why it’s so important to focus on starting. You never know where an opportunity can lead to. How do you power through problems? The primary way that I overcome problems, is by focussing on my mindset. If I am procrastinating, it’s usually because I am overwhelmed. Juggling law school, learning how to code and blogging can often lead to burnout which consequently reduces productivity. Therefore, If I am procrastinating, I schedule an intentional day off to re-energise. That usually deals with the problem and gets me back on track. I am also a very big fan of journaling. I like to write my thoughts down, remind myself of my aims and create daily practical steps on how I can achieve them. That helps me to not get overwhelmed and also to find solutions to problems by creating a daily game plan. Which podcast do you recommend? I have recently started to listen to the Fortt Knox by Jon Fortt. In the podcast, CEO’s and industry leaders discuss their motivations and strategic decisions that made them successful. It’s great, because it allows me to gain an insight into different industries and to learn from the people that I am trying to emulate. A year ago I did the most crazy / brave / risky thing I had ever done in my career. I quit my job with no next move planned. I don't consider myself particularly risk-loving, but as the company's priorities had changed, so too had my role. I deliberated the decision over a period of a week or so with friends and family and on a sunny May day in the Berlin office, video called my line manager and handed in my resignation. Sure, my colleagues thought I was crazy, but deep down inside in that moment in time... I realised the only person's whose thoughts and feelings mattered were mine. Since then I've done way more crazy / brave / risky things... I toyed with the idea of being a VC and had lots of coffee dates with associates (I soon changed my mind). 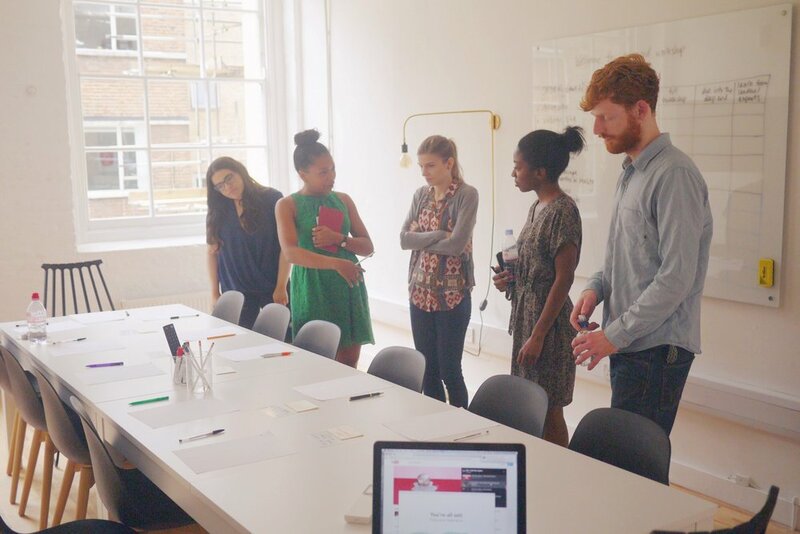 I interviewed for C-level roles at venture backed startups across London, Paris and Berlin. And then I ran a series of careers workshops that ended up being the beginnings of Hustle Crew, my first venture. 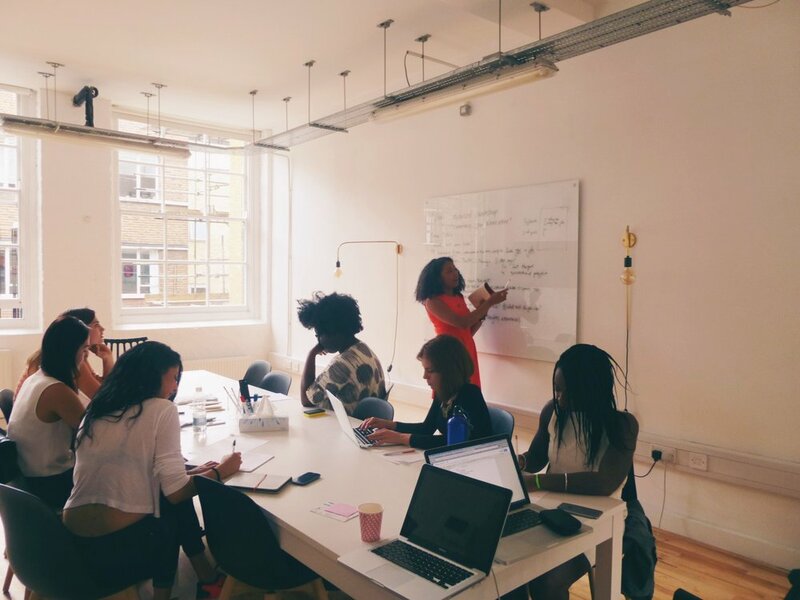 In the few short months since we launched, we've become one of the first startups to be accepted into The Family's London incubator, accepted into the Prince's Trust enterprise programme, and delivered training for Pinterest's entire Europe team and students at LSE, Oxford, UCL and Imperial. We've also mentored over a hundred millennials from San Francisco to Shanghai. Isn't it funny what happens when you start to conquer your fears? In my case I've found that each test and challenge has built my resilience and made me more brave. What fears are holding you back from growing in your career? I'm not saying you should quit your job! But is a fear of failure holding you back from challenging yourself? A fear of embarrassment holding you back from asking questions in a meeting? A very wise man once said, "there is nothing to fear but fear itself" and I get it now. Fear is a limitation. It's a trap. Be very afraid of fear because it is a fake friend. Stare it in the face and keep moving forward with your goals. And remember you have me and Hustle Crew right behind you to give you support. 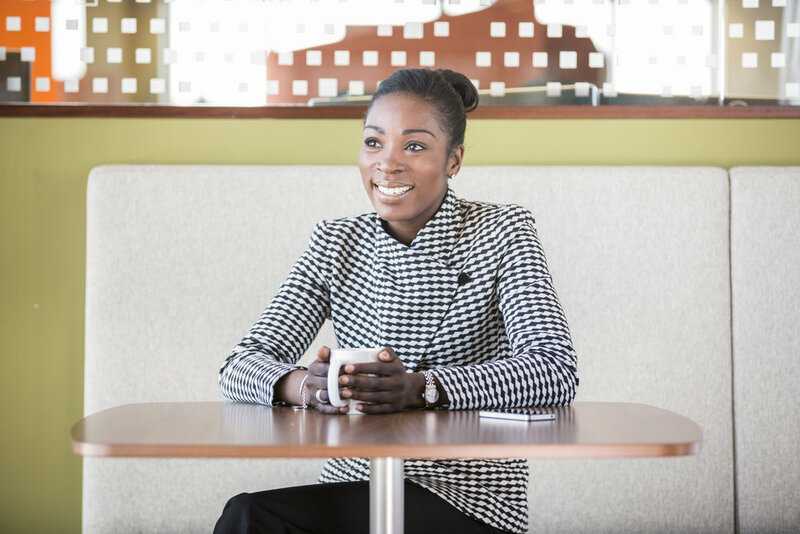 Damilola Erinle is Area Vice President, Commercial Sales at Salesforce. Having worked as a leader in sales and business development for more than a decade, Damilola has led teams in world-class technology organisations to drive million dollar growth in international markets. 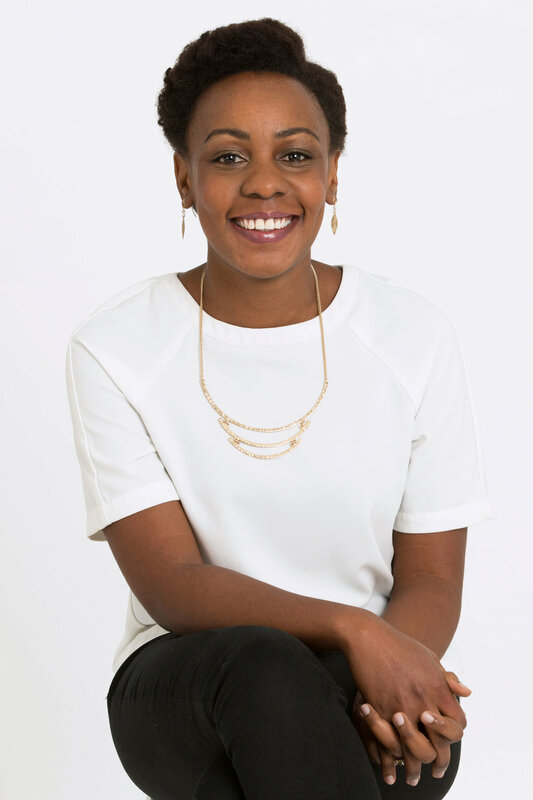 Damilola is also passionate about supporting STEM education programmes for young women and volunteers with the Stemettes and Apps for Good. Most recently, she travelled to Kenya to volunteer for the Karibu Centre as part of a programme focused on empowering young children through education and access to technology. What does your day/week/month look like? The great thing about working in technology and especially for a technology company is that you’re encouraged to really think big about how it can work not only for your clients but yourself. At Salesforce we have a motto which is “run your business from your phone” so I can be anywhere in the world and be just as productive as one would traditionally be behind the confines of your desk. That means that my day, week and month can look like anything. As a Vice President of Sales I’m responsible for the management of a number of teams as well as the success of our customer base, that means that I typically spread my time between my managers and their teams, our supporting teams and our current and prospective customers. A typical Monday morning will be a quick call with my PA to discuss the priorities of the week, any overhanging actions from the previous week and any key asks she or I may have. After that I focus on the numbers, how “big” is this week in terms of required delivery vs quota. I use Salesforce analytics to understand the patterns behind the numbers and this helps me focus on the “message of the week” which I’ll share with management and the wider teams. From that point on, I could be in Dublin spending time with some of my teams based there, speaking at customer or industry events or meeting with internal teams and customers to agree their technology strategy. Who do you dream of collaborating with? I absolutely have a passion about collaborating with charities. They fill such an important gap within our community, their reach is amazing and when you can help one charity focus their strategy whether that’s operationally to be able to reach more people or marketing-wise in order to be able to get more volunteers or sponsors, you really start to see the good that they’re doing scale. I had the fortune to travel to Kenya last year to work with the Karibu centre. The work they are doing there is phenomenal. They take kids from the slum and through the education they provide, not only do 100% of their kids make it into public school at seven years old, they are two years ahead of their peers in terms of their academic level! At first I thought I would spend most of my time helping out with the kids, but when I understood their potential I spent the entire week in the office with their Managing Director helping them flesh out their business plan. It changed my entire outlook on what it can mean to make a difference. What’s something you’ve done that you were told couldn't be done? Which new author/ authors do you read? Which blog? Which podcast? I tend to read a lot of inspirational books, I love Rick Warren especially his book “A Purpose Driven Life”. This may not connect with everyone but for me it helps focus me on my purpose reminding me that God wants me to achieve and to make a difference. I also respect Dr Sheila Robinson, she’s launched various magazines and I love the tagline of her Diversity Women magazine “leadership empowerment for women who mean business”. Anyone that stands up to encourage others to be the best version of themselves is just so inspiring, it’s something I’m challenging myself to try and do more. 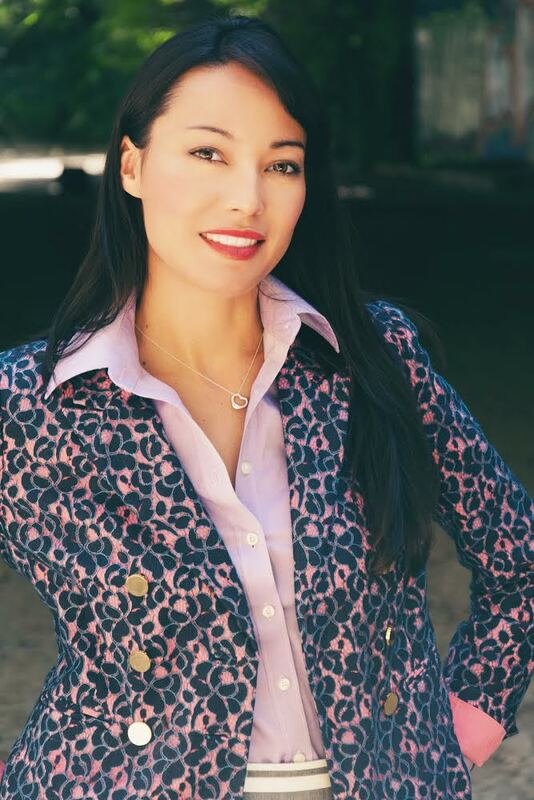 Adriana is the Founder and CEO of Girls in Tech, a San Francisco-based non-profit organization devoted to empowering, educating and mentoring women in the tech industry across over 60 chapters internationally. She is also a partner at Founders Den in the heart of San Francisco's SOMA district where Girls in Tech's offices are located. Adriana has also served in executive roles at RxMatch and QwikCart, Ogilvy & Mather and SecondMarket, the largest secondary trading platform, where she was responsible for branding strategy, event production and digital media efforts. In addition to working with technology start-ups like Indiegogo, SGN, Algentis, Democracy.com, Swyft, ImpulseFlyer and GUBA, Adriana has served as a strategic advisor for companies like NexTravel, StartupStockExchange, Numiyo Technologies, Palindrome Advisors, CharityBlossom, DooChoo, and Change.org. She is also on the advisory boards for Nailbot, Cocoon Cam and Roost. Adriana holds a bachelor’s degree in Sociology and Economics from the University of California at Davis, received a certification from El Tecnologico de Monterrey in Aguascalientes, Mexico, and participated in Semester at Sea, University of Pittsburgh in 1997. Adriana is also fluent in Spanish. What does your week/ day/ month look like? Every week is different. A lot of people say that—but I really mean it! I travel a lot for work, so I can wake up in a different city any given week. No matter where I am, my days are filled with lots of phone and video calls, meeting with the Girls in Tech Board, our partners and chapter leaders. My team is located all around the world, so this may mean meetings in the very early mornings or late at night. If I am in San Francisco, where I live, I squeeze in time to work out and see friends. I think the better question is who I don’t dream of collaborating with. One of the best parts about working to advance women in technology is that you meet remarkable people along the way. There’s so many women I have so much admiration for—from Marissa Mayer and Jessica Alba to Oprah Winfrey and Michelle Obama. I would be honored to partner with many of these ambitious and intelligent entrepreneurs and world changers. I’m not sure if I’ve ever explicitly been told these things can’t be done, but I’ve do many things that I’m proud of. I’ve held leadership positions at numerous startups in the earliest, foundational stages. I moved to Silicon Valley on my own in my mid-twenties to explore the tech industry. 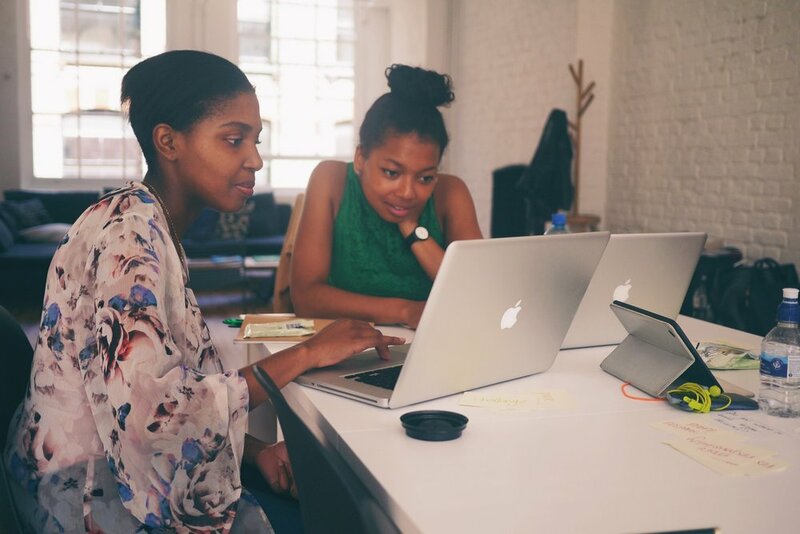 I’ve taken Girls in Tech from a one-night networking mixer to a worldwide movement. I genuinely believe that I can do nearly anything. And that’s not coming from a place of arrogance or ignorance; I’ve learned that half the battle is just being fearless enough to take the leap and give things a try. So now I take a lot of risks. And most of the time I win. I love to read. I try to carve out the time and make it happen. I can’t speak to new authors in particular, but I adore David Sedaris and anything by Tina Fey and Chelsea Handler. Secretly, I have total potty mouth humor. I like reading books that I can relax with. Since I travel so much, it’s nice for me to unwind and take things slow when I am back home in San Francisco. That means exploring the city with my boyfriend, Michael, checking out new restaurants and hitting up barbeques with friends. But seeing my parents, who love in SoCal, is the ultimate de-stresser. I can’t think of any other activity that helps me return to who I am, reflect and recharge. “You can do anything, but not everything.” I hold this quote close. It’s a reminder to slow down and realize that yes, I can make just about anything happen, but it doesn’t have to be tackled all at once! And for me, that’s easier said than done. Jane launched her first company before the age of 19, creating artisan baked goods and attracting clients like TedX. She later interned at Ladies Learning Code in Toronto and completed her Bachelor of Commerce degree abroad in Europe. Currently, she works for Universe, a powerful event ticketing platform, in San Francisco. 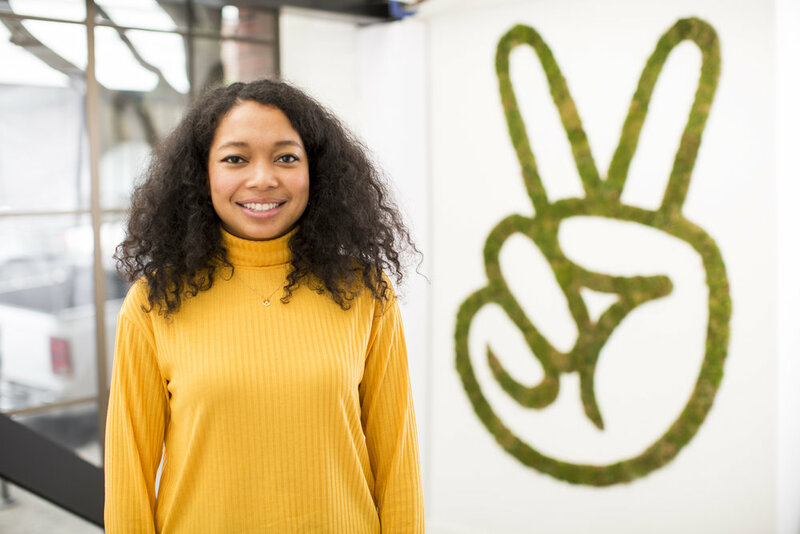 She is passionate about code, women in tech, and startups. She also volunteers with Girl Develop It SF on their marketing and social media initiatives. In her spare time, she creates videos, blogs, codes, and designs. You can check out some of it on www.janedays.com. I feel like we often get caught up in how much time we have to be able to accomplish things. When I look at everything Beyonce appears to do with the same amount of time, I’m able to take a step back and start prioritizing things. She talks about her career and all the moments she had where she thought “I need to get out of my current situation” and began “doing the work”, as she calls it, to ultimately move toward her true calling.I find so many points in her talk that I relate to, especially when she speaks about all the things that went through her head when she first started out in her career and how important it is to be forward-thinking. “Everything I Never Told You” by Celeste Ng. Lydia Lee, the prized daughter of a mixed race Chinese-American family’s body is found drowned in a lake. The story is based in 1977 in Ohio, and the family begins quietly confronting the things they’ve left unsaid for years to begin understanding why Lydia is dead. It also delves into themes of racism, mental health, and sexism in the book that resounded heavily with me. There are rarely books or movies written about Asian-American families and all of the unique stories or struggles that they go through when acclimating to American culture. As a Chinese-Canadian, so many of the family’s memories and stories sounded like my own. It’s a beautiful and heartbreaking book and it makes you want to tell everything you’ve kept quiet to the people you love. We use Yesware at work, a paid email productivity tool, that I’m obsessed with. I use it to track views on my emails, schedule reminders to follow-up, and to send out mail merges. It’s such a time saver and keeps you on top of your work! Boomerang is a free tool that also has some of these features as well! I also love Airtable. It’s basically Google Sheets 2.0. They have tons of pre-made templates to help you track Projects, your book catalog, your sales CRM, and event planning. You can change fields into checkboxes, multi-select options, or even attach files to help you stay on top of your project. I’ve been using it for work (to track prospects), for keeping track of Girl Develop It events and social media posts, and also for keeping track of all the books I’ve read this year! How do you power through problems? Tips for battling procrastination? Honestly, I find motivation and problem-solving to be a holistic thing. When I am surrounded by people who motivate me, go to a job that I feel empowered in, and have personal projects that makes me want to work when I get home, I am so on top of my to-dos. When my motivation dwindles at work and I begin feeling discouraged or overwhelmed by personal projects, crossing off my to-dos take a back seat. When I start taking care of myself again, so that might mean mentally or physically, I find that I start problem-solving more clearly and setting aside time to get through my to-dos. To be totally transparent, I’ve had lower motivation lately and the thing that’s been kicking me back into gear is going to boxing regularly. It’s extremely empowering and I feel ready to get through all my tasks afterward. How do you share the load? Delegation? Asking for help? I think this can also be prefaced by knowing what your maximum load is. Too often we believe that we should keep taking on work because we can handle it or because we’re out to please someone else. Instead, keep your list of priorities short and be transparent about what’s on your plate. I actually watched a webinar recently on learning how to turn down work in a way where you’ll still be respected. For example, instead of saying “I’ve got a lot on my plate right now so I can’t take this on”, phrase it as “Sure, I’m still working on Assignment A that you gave me on Monday, so if you’re up for it, I can take on Assignment B but I’ll need to push the Assignment A deadline to next week. Does that work for you?” Based on that answer, you’ll either be able to turn down the assignment or be able to manage the two in a realistic manner. Be transparent about what you can do and deadlines that make sense. In terms of sharing the load, I love help. I try to solicit as much feedback as I can and do brainstorming sessions with people who are working through similar problems. I think being afraid of help or feedback is a weakness because you’ll never know what’s wrong with your current idea nor how to improve it. Which spaces enable your creativity? My house, especially on a Sunday, is my most creative place. My roommates and I lucked out with finding a beautiful house with a large and well-maintained garden. Our balcony overlooks palm trees, bamboo, and other big leafy greens.I love sitting in my living room with our record player on, the back door open and the breeze flowing in, and working away. On Sundays, all my roommates are home and they’re usually all hard at work as well. We end up with this perfect balance of music, brainstorms, and ideas flowing. That’s when I can work forever. I take Jane Days! I give myself some time off to do the things that I want. For example, I’ll go to boxing, continue working on a painting, cook a huge meal, or go outside of San Francisco for some fresh air and beautiful scenery. I also take a lot of time to clean my house on Sundays. A decluttered home is a decluttered life, right? I think a lot of people who go through business school are faced with a resoundingly 2D perspective of what you should do with your career. There were clear career paths that meant success - finance, accounting, consulting, or marketing at a CPG company. I was felt really suffocated in this model and never looked at all of the unique opportunities outside of these designated fields and also outside of Toronto. I think by going on exchange to Scotland for my final year of my undergrad, I felt both rebellious and free. Not many people in my business school went on exchange since you’d miss the chance to be recruited on campus for a full-time role after graduation. I knew I wasn’t drawn to any of the companies that recruited and my mental health wasn’t the best. In Scotland, I got to spend a lot of time with myself trying to figure out what companies and organizations I was actually drawn to. I realized that being so far away from Toronto was really comforting and that I didn’t have to limit my career options to Toronto. I looked for startup roles everywhere and ended up getting this job in San Francisco. I think the route was more unconventional, and not necessarily something I was told couldn’t be done, but the lesson here is that if being unconventional feels right to you, go for it!